Get the Special Report that explains how your Off-Highway equipment design can address requirements for better usability and enhanced ergonomics by integrating Positioning Technology solutions designed for rugged use. Learn how intuitive hinges, arms and mounts with integrated Positioning Technology offer the lowest operating efforts for easy positioning. 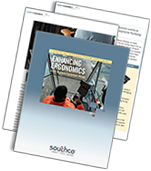 Prevent operator strain by downloading Southco’s Special Report now.